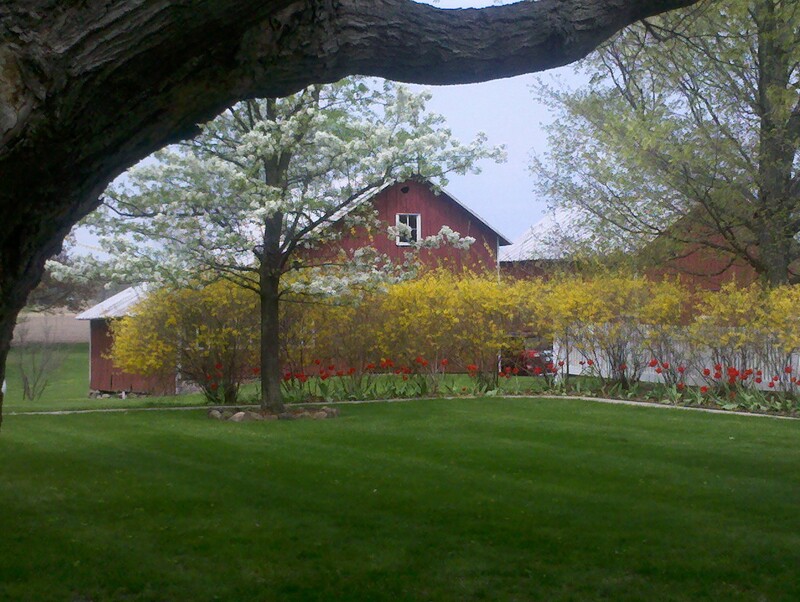 The Southern Michigan B&B Association meets regularly at another member’s inn. A recent gathering brought several innkeepers to the Legend Inn B&B in Dimondale, MI. 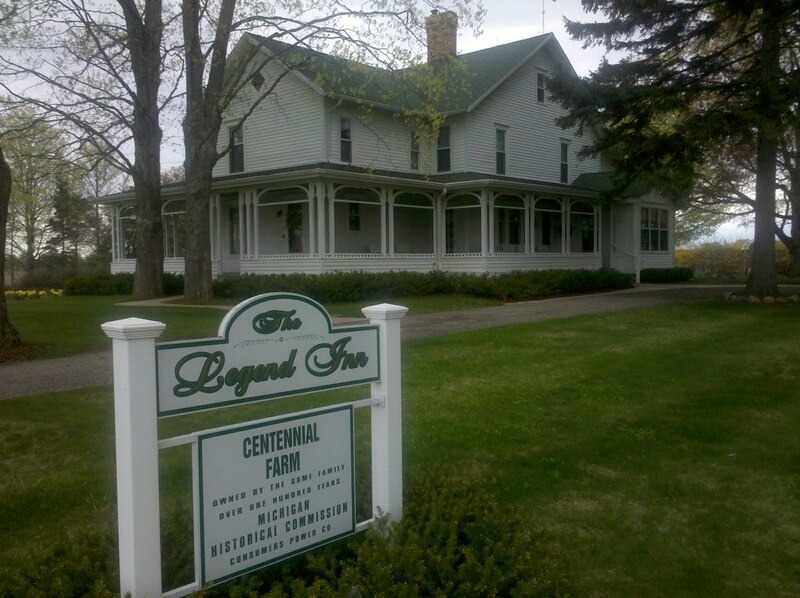 The Legend Inn is located in the country just a few miles south of Lansing on a centennial farm. The farm has been in the same family for generations. It is a huge family home that features a giant wrap-around screened-in porch, several out-buildings, and beautiful gardens. Our group felt very comfortable meeting in this family farm house. A luncheon put on by the host innkeeper was a typical hearty farmers meal that satisfied the biggest appetites. Ample meeting space in this quiet setting made for a very pleasant, comfortable, and homey event. 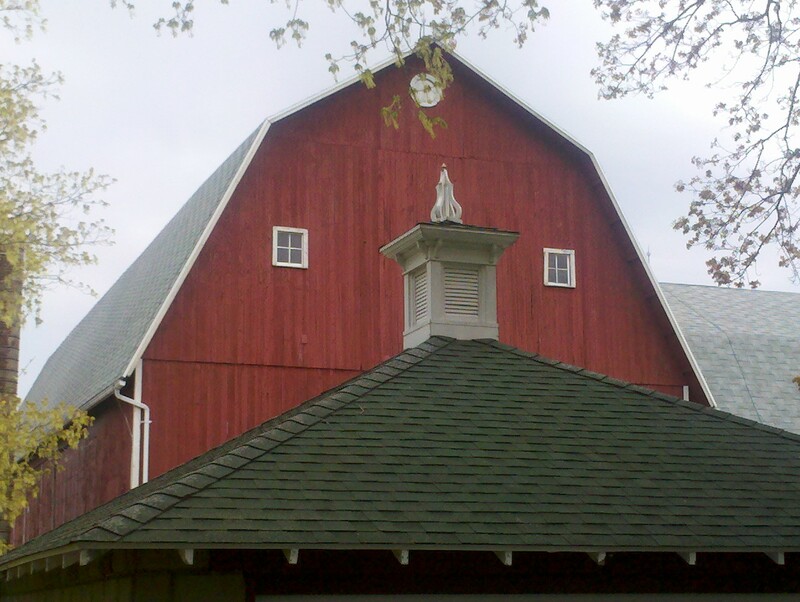 A tour of the grounds brought us all in touch with farm life of a bygone era. An especially interesting tour included the milking barn. It was a large facility in its day, but is dwarfed by the huge mega farms of today. It is a must-see portion of a visit to the area. Groomed trails through the property make it a wonderful place to get away from city life for a few days in the country. The people are so full of TLC for you (if you want it) and the grounds and house are so full of history, detail and serenity of a bygone era. This bed and breakfast can be the only attraction you see for your whole stay and you would be more than satisfied.